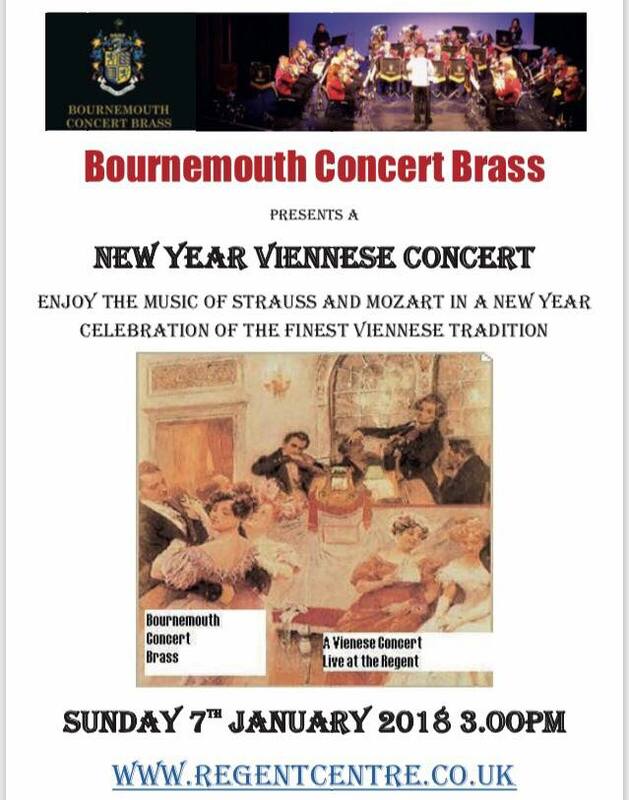 BCB bring Viennese music to town with their New Year Viennese style concert. 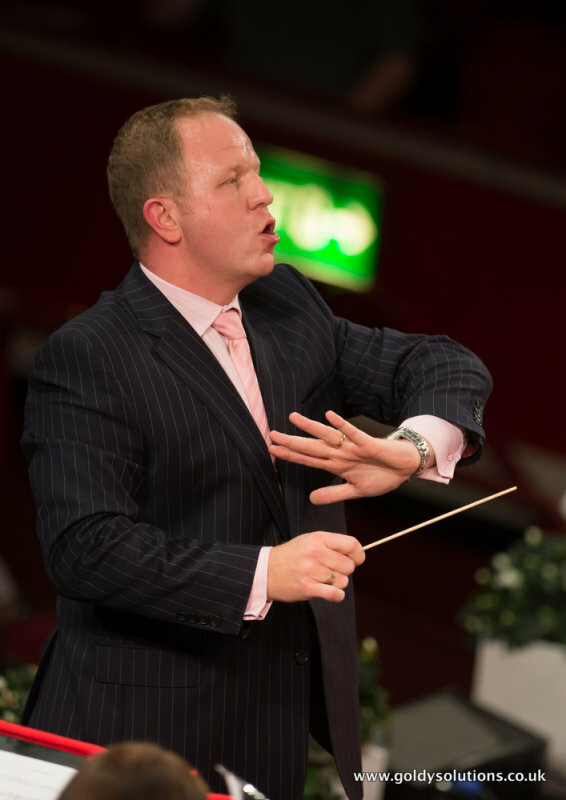 Come and bring in the New Year and enjoy the finest selectionof music from composers associated with this musical city, including Lehar, Mozart and of course the Strauss family. 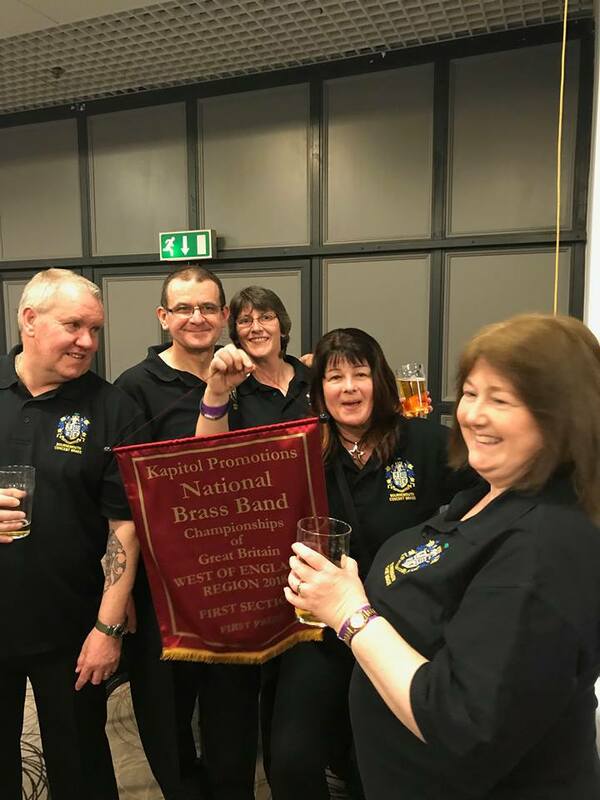 BCB have had a busy few months. 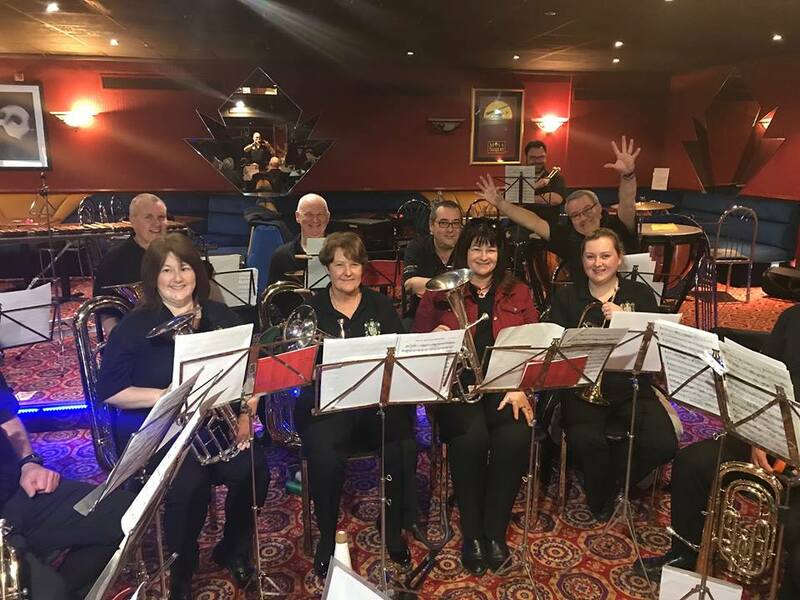 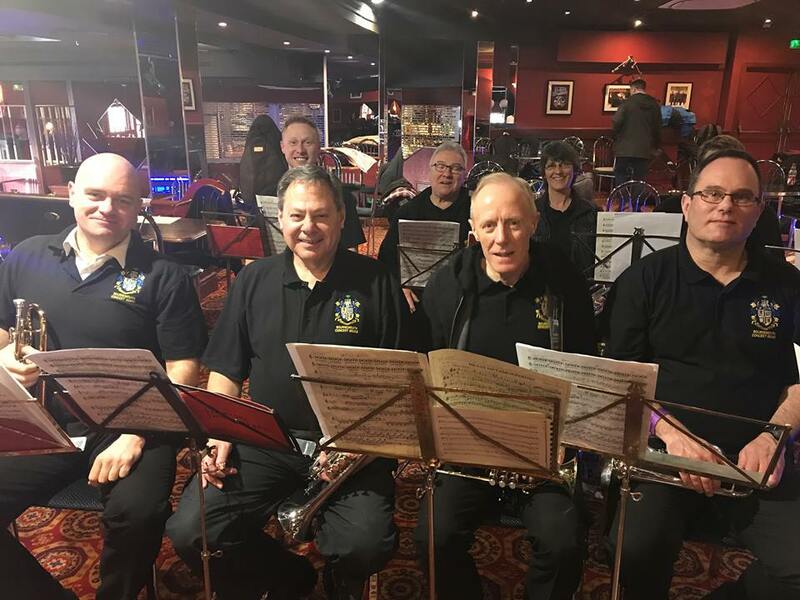 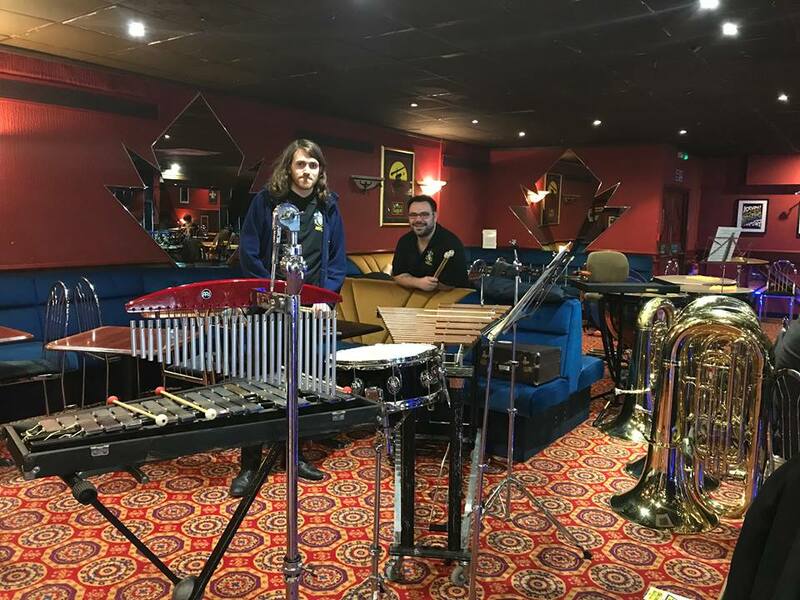 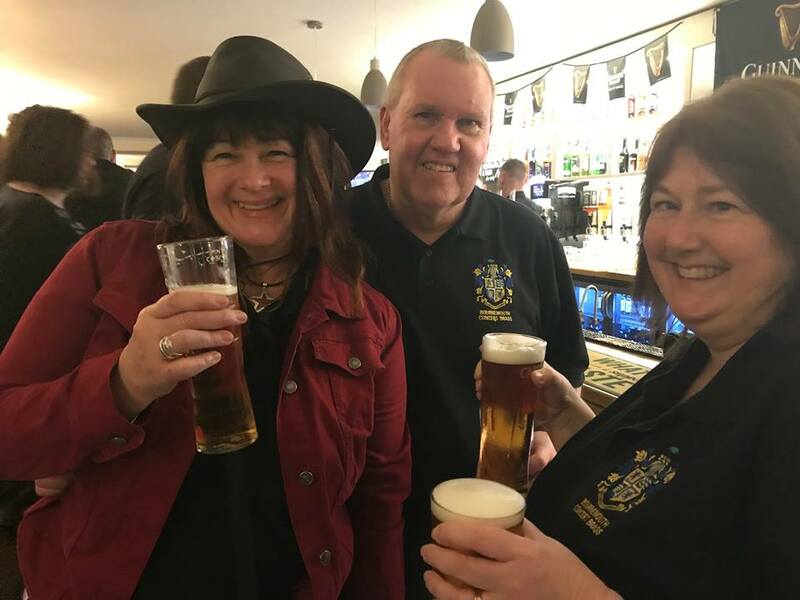 The band's smaller ensembles (5-piece and 10-piece) performed at a number of venues such as the Zetland Residential Home, the Savoy hotel, East Cliff URC, the Cricketers pub, and the Bournemouth Retired Nurses home. 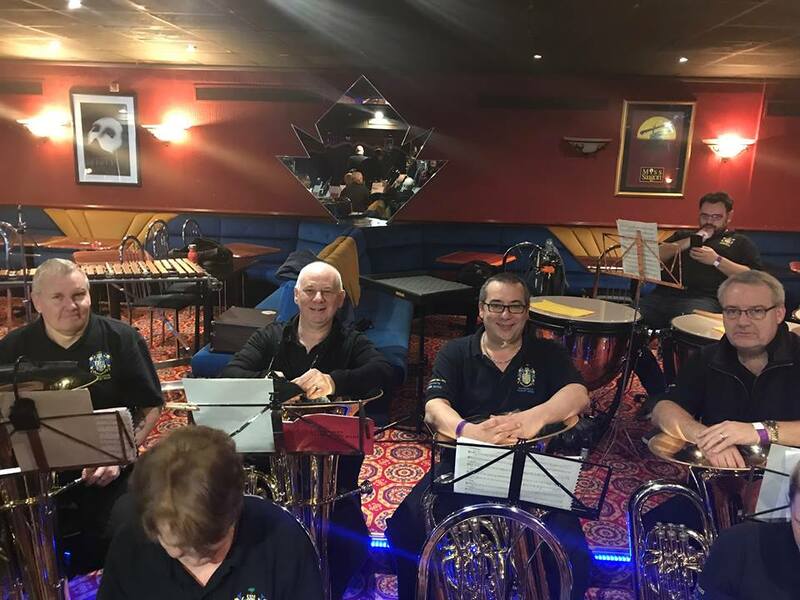 the band has a large repertoire of smaller group music and were able to put out programmes to suit the events. 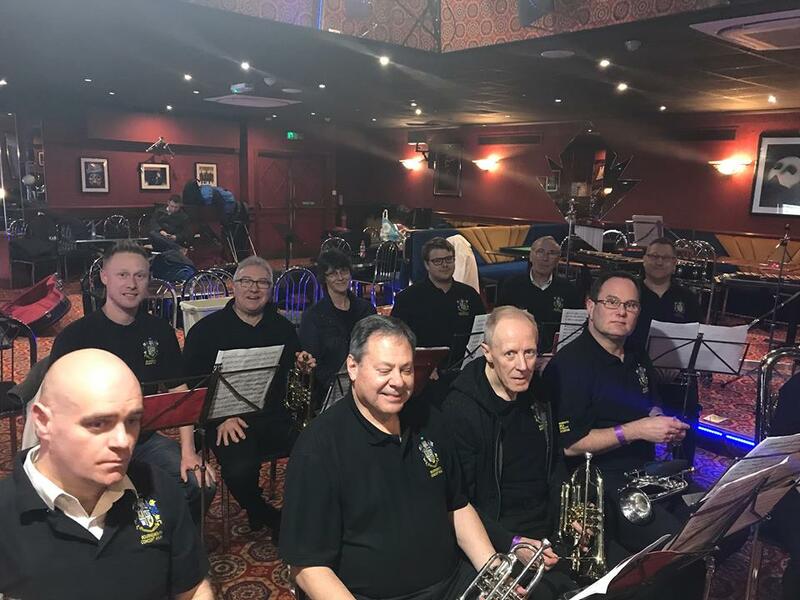 During September the full band performed their annual Last Night of the Proms concerts at the Regent Centre Christchurch and the Mowlem Theatre Swanage. 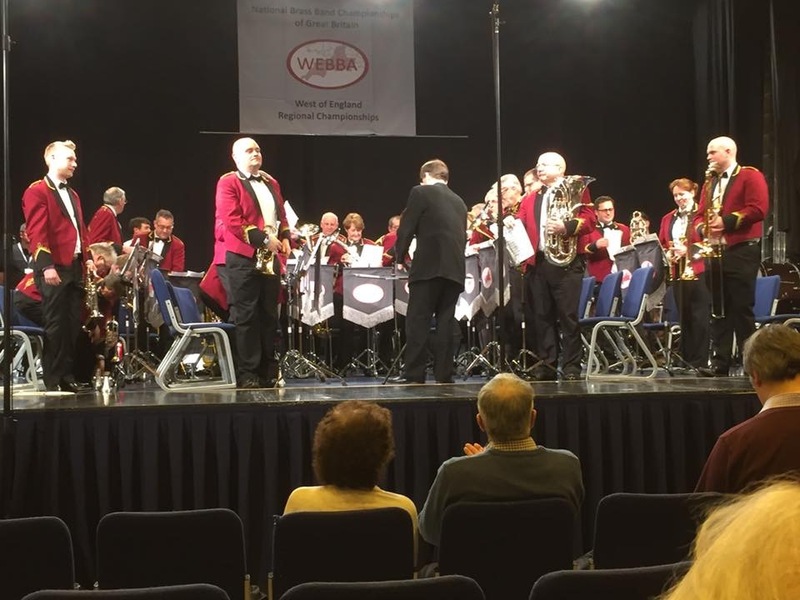 A number of new arrangements were performed, 'Wishing you were somehow here again' - Soprano cornet solo, 'Grand Old Dukes' - Cornet Trio (using the nursery rhyme - The grand old Duke of York), 'The Blue and Grey' - a selection of songs from the American civil war, a new arrangement of 'The Battle of Britain', plus the usual proms items to which both auduences waved their flags and sang their hearts out. 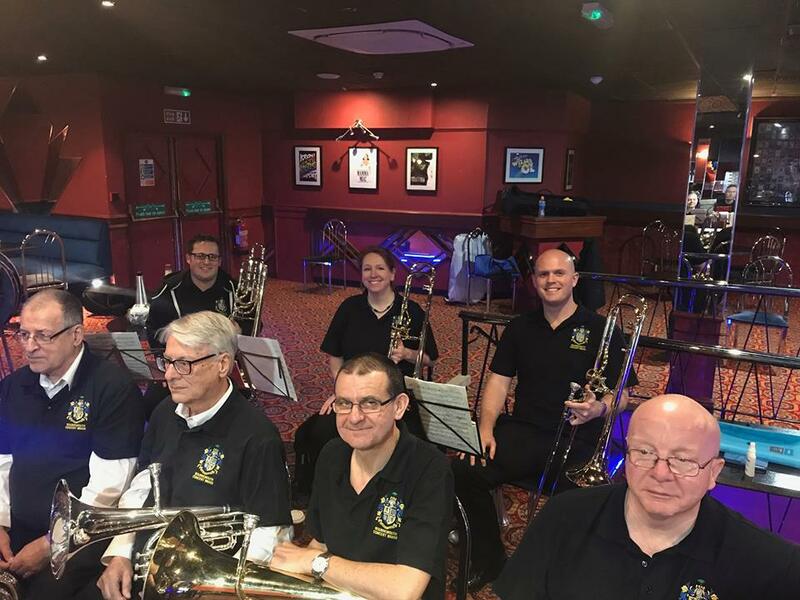 The band's 10-piece ensemble are giving a further proms concert at the East Cliff URC on Saturday 13 October at 2.30 pm, and then will get down to rehearsals, under the direction of Howard Evans, for the Wessex brass band contest on 24 Nov at the Life Centre Winton. 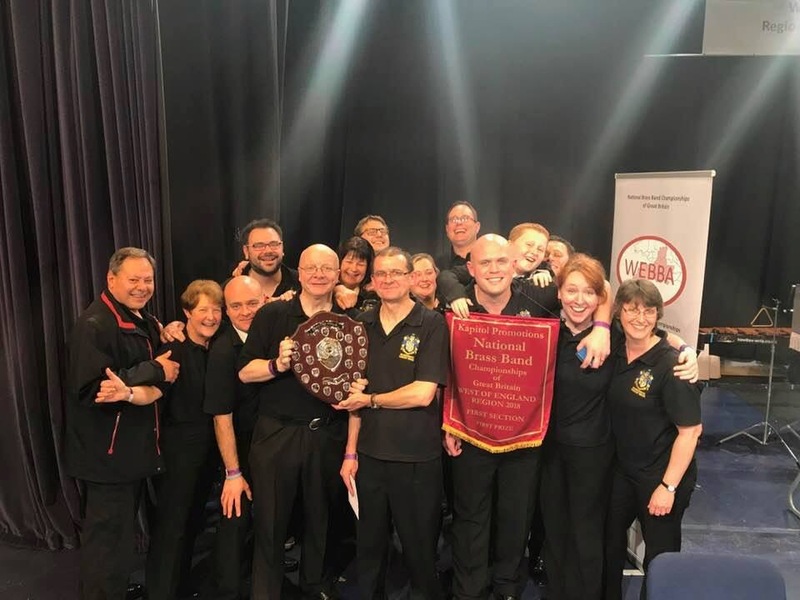 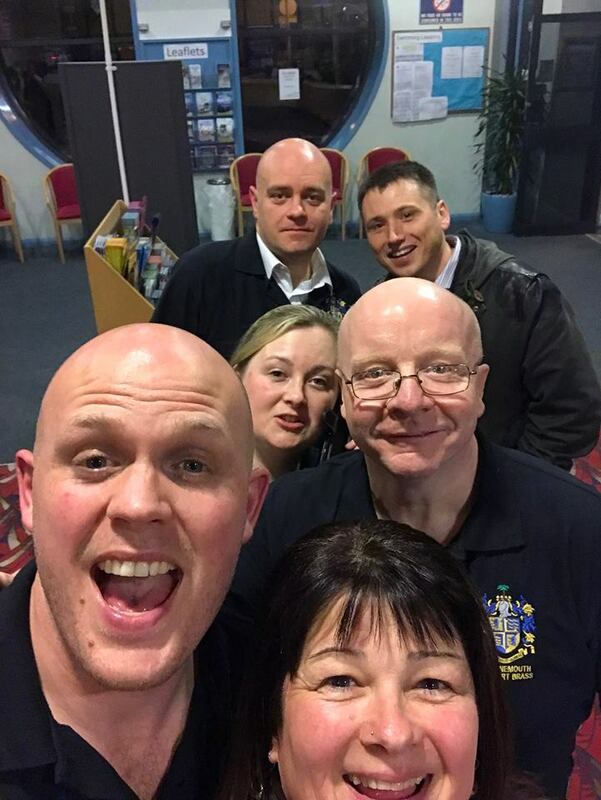 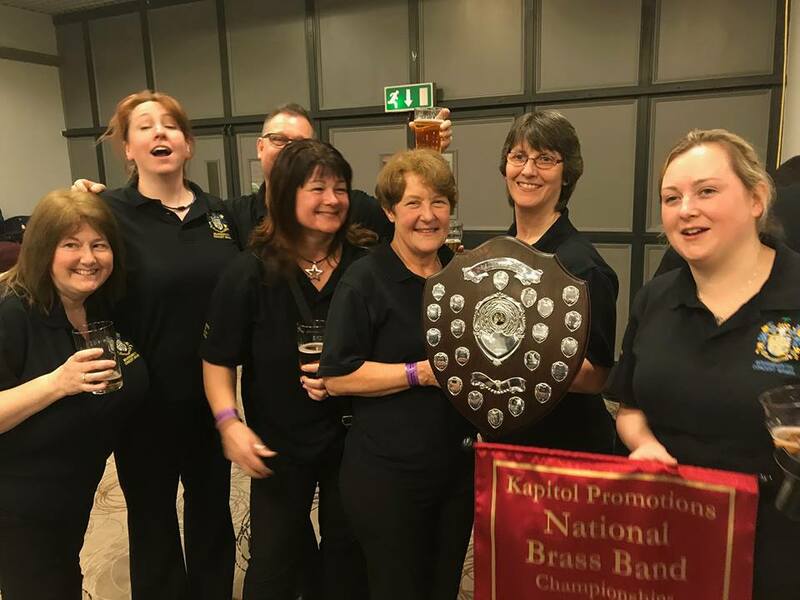 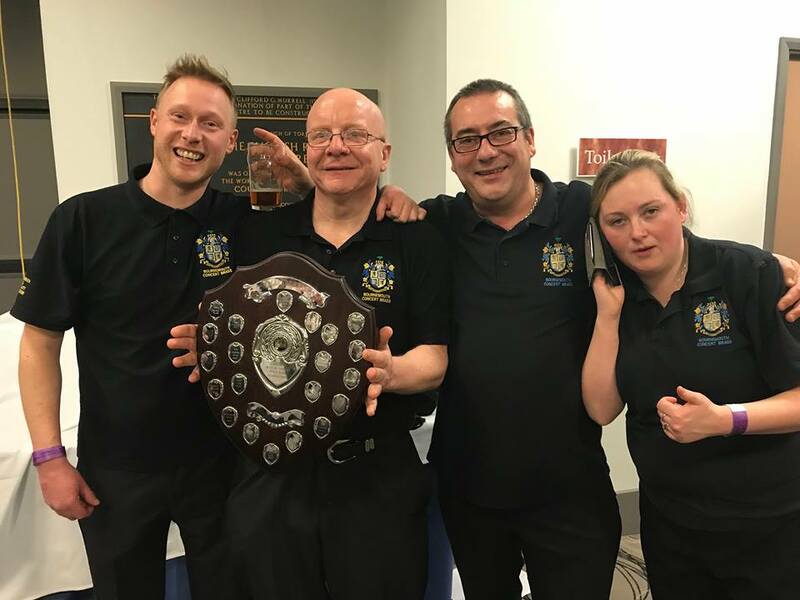 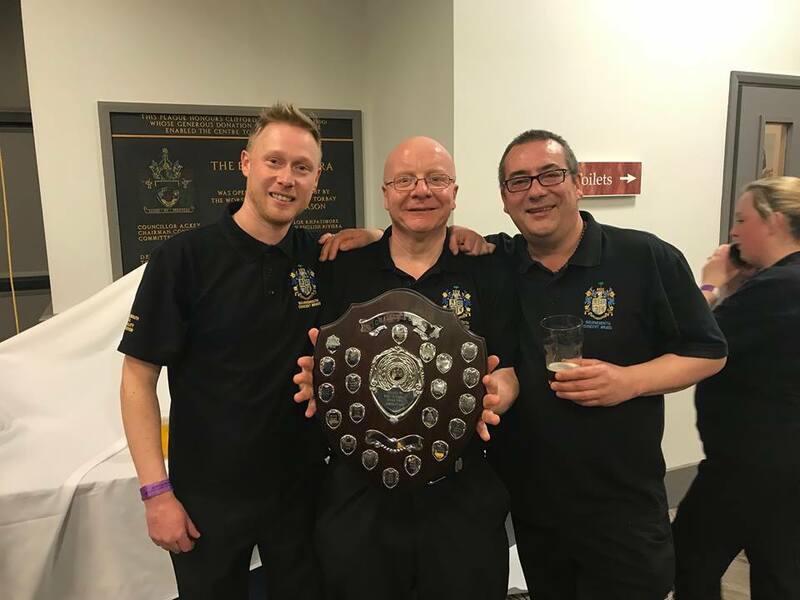 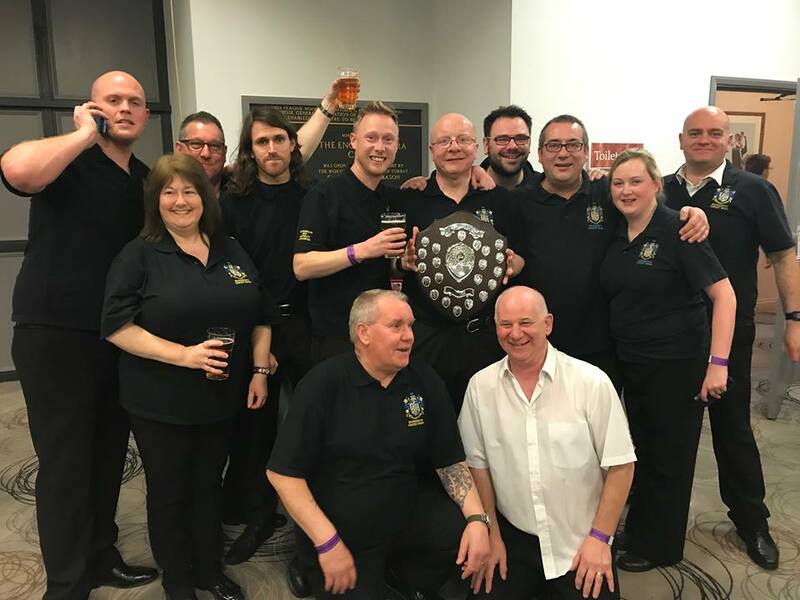 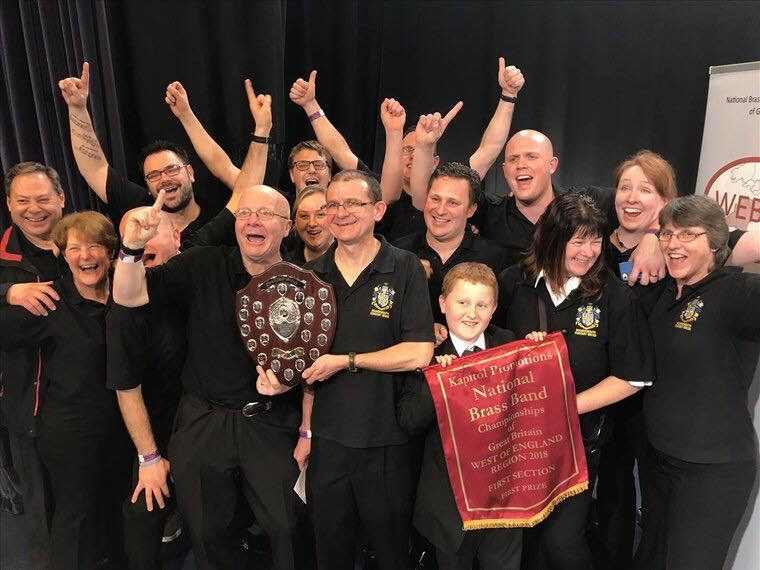 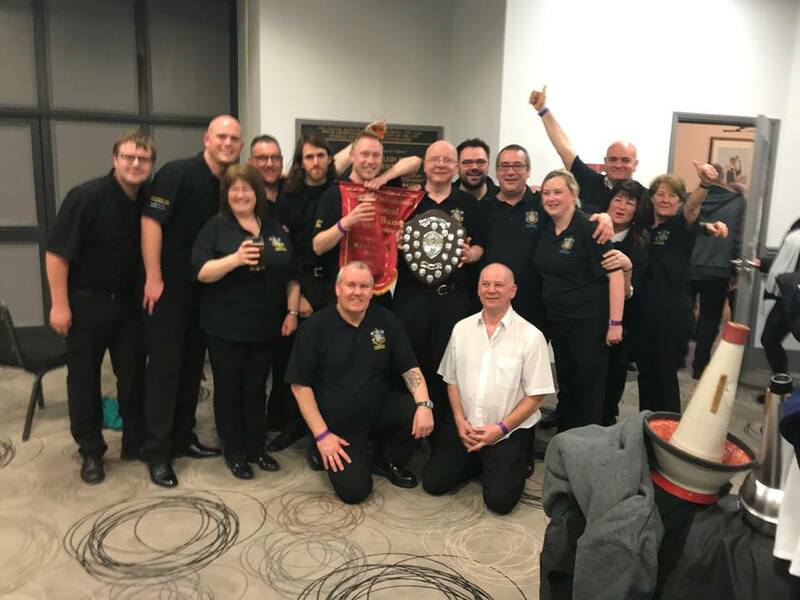 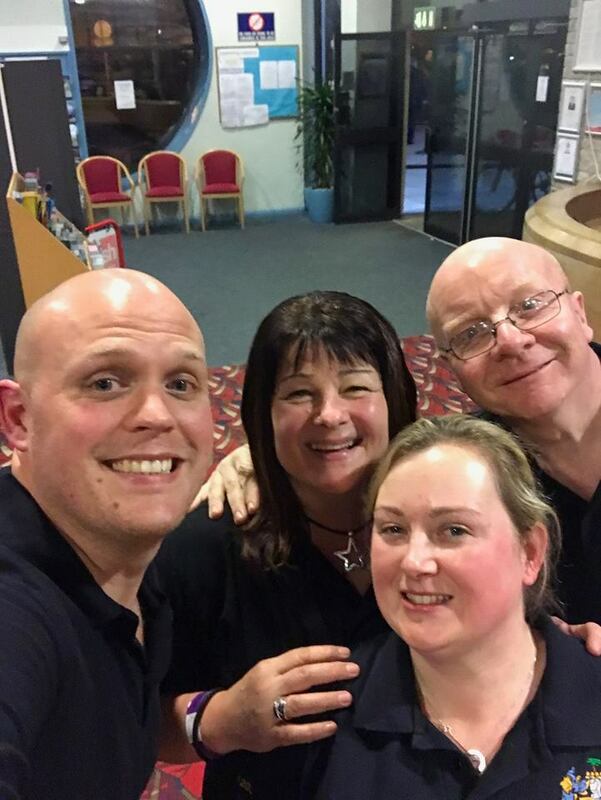 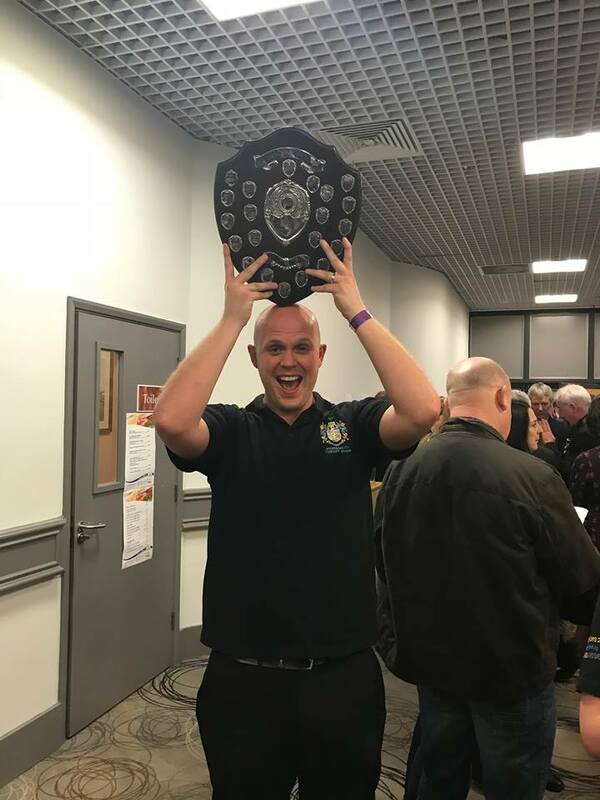 BCB took part in the West of England Brass Band Championships held at the Riviera Centre, Torquay and were extremely delighted to be placed 1st out of 16 bands in the First Section. 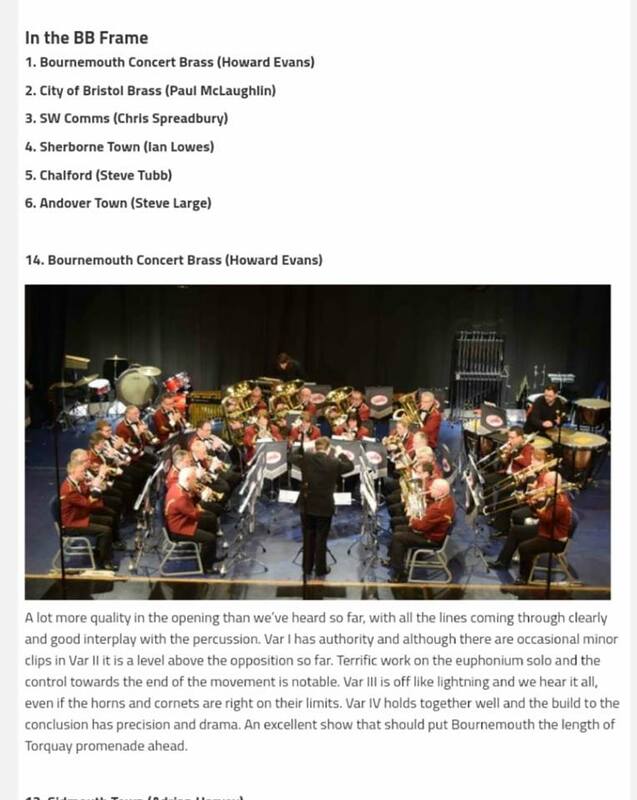 The band were directed by Howard Evans and the selected piece was Brass Metamorphosis by James Curnow. 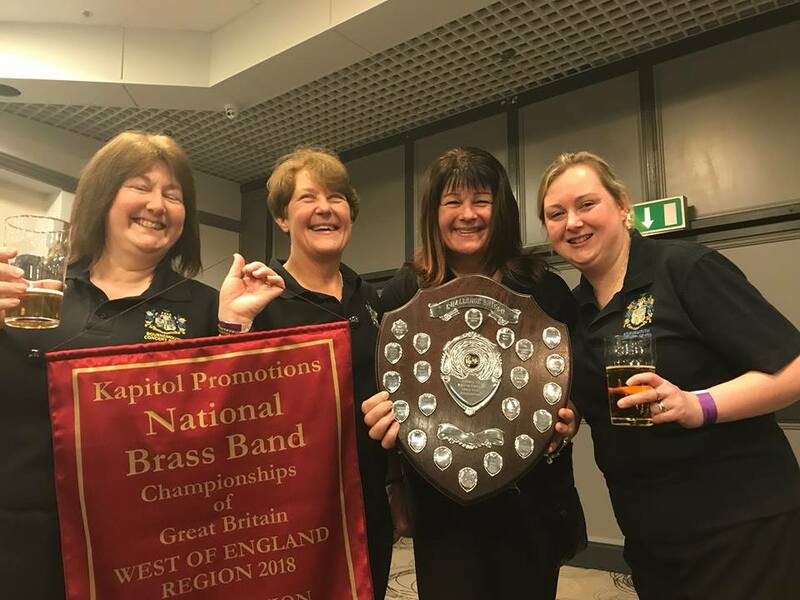 This means that the band will be promoted back to the Championship Section as from 1 January 2019. 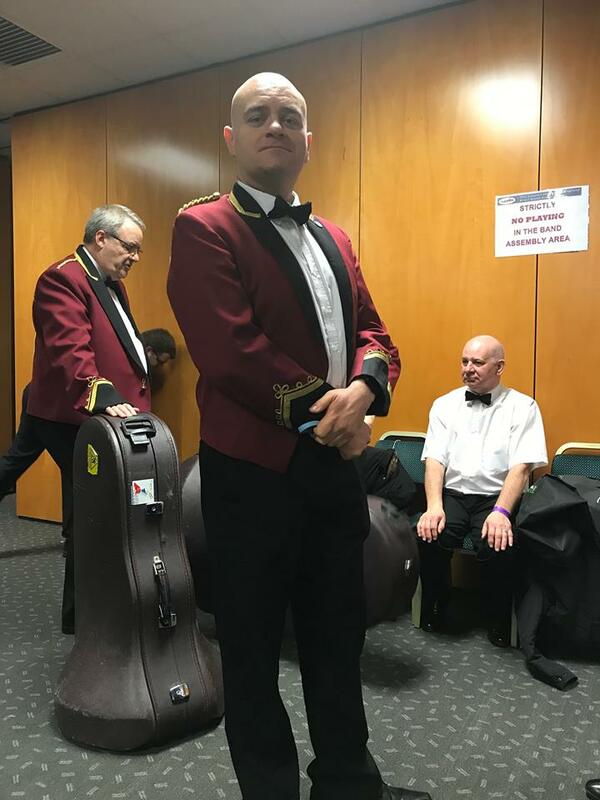 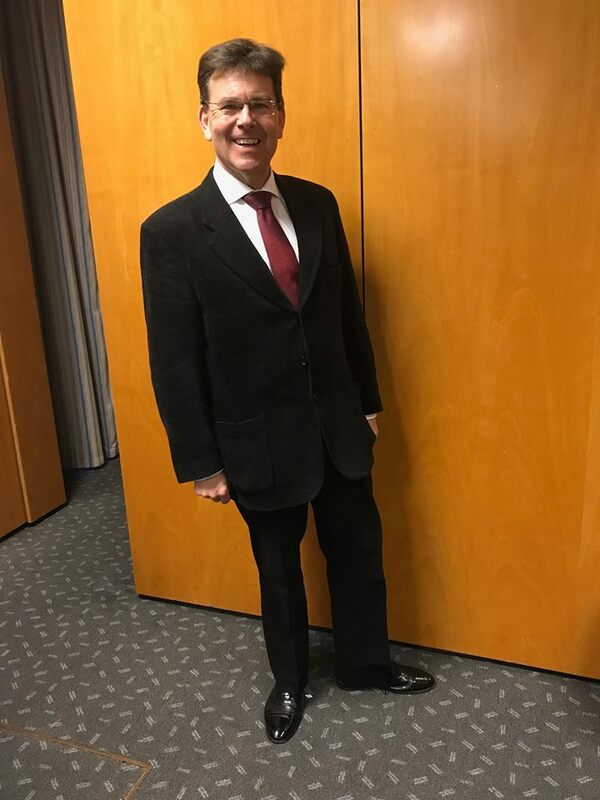 It is with great pleasure that BCB congratulate former professional conductor, (Major) Dave Barringer on his award of the MBE for his work within the Corps of Army Music. 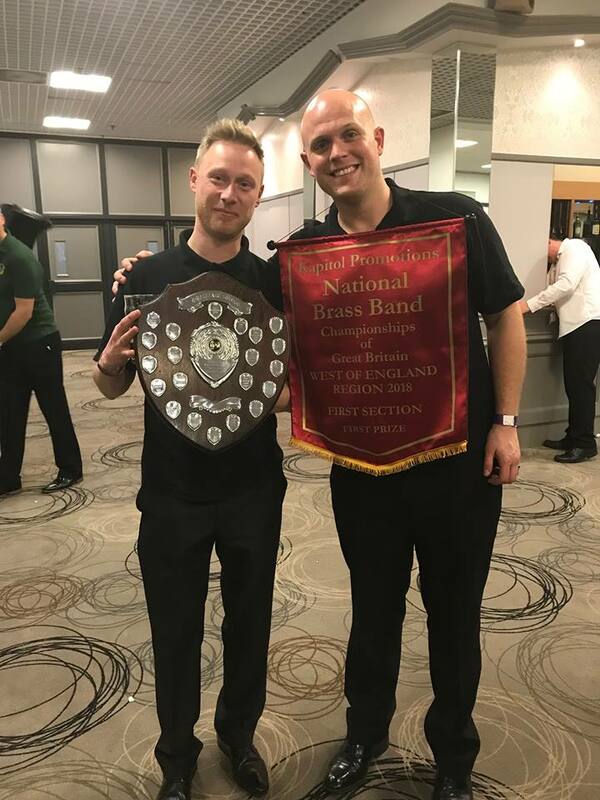 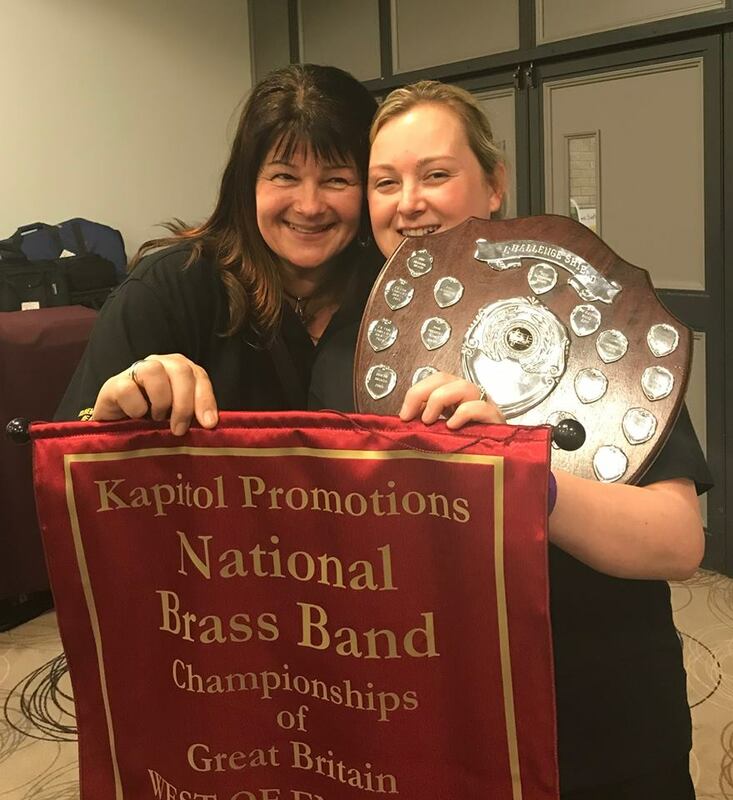 During Dave's tenure with the band we gained some very creditable results on the contest stage including taking part in the 2012 National Brass Band Championships of Great Britain held at the Royal Albert Hall. 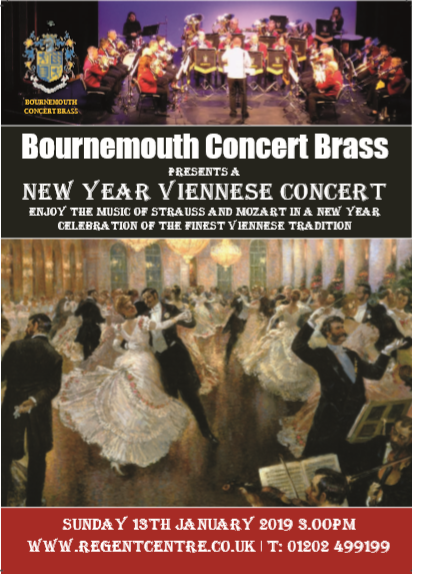 BCB's next concert is their New Year Viennese concert on 7 January 2018 3pm at the Regent Centre Christchurch. 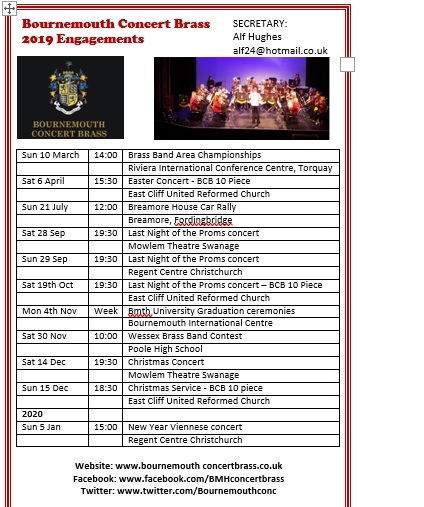 Come and join us to see in the New Year.